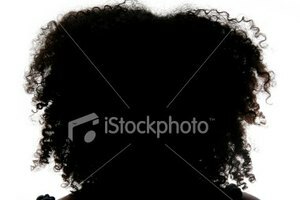 Hair relaxers can be a useful tool in hair management. They can settle curls while making hair easier to comb through and style. When a relaxer is properly applied, people can enjoy the benefits of this treatment on a daily basis. 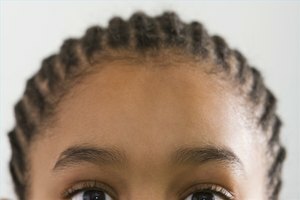 However, burn can occur on the scalp when relaxer directions are not followed precisely. Burnt hair and scalp can be both painful and unflattering to deal with. Proper care after a burn is essential to the healing and restoration of the hair and scalp. Cleanse hair with an alcohol-free shampoo. This will remove any impurities remaining that could further damage the scalp and hair. After you have done an initial cleanse, limit shampooing to three times per week to prevent drying. 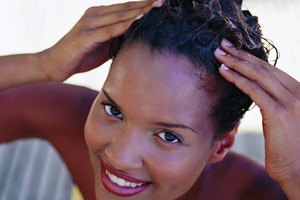 Use a deep conditioner with vitamin E and olive oil at least two days per week. Let the conditioner set on the hair and scalp for 10 minutes before rinsing clean with lukewarm water. Resist the urge to scratch your scalp. You may experience itchiness as a result of the burn on your scalp. Scratching can prolong healing and cause infection as bacteria can be spread from the fingernails to the scalp. Using self control will accelerate healing and prevent other issues from arising. Refrain from using heated hair appliances. Blow-dryers, curling irons, and hair straighteners will further damage and dry out hair. Allow your hair to air dry. If you must use a blow-dryer, use the "cool" setting. Trim your hair frequently. Trimming 1/4 inch of hair every three to four weeks will eliminate unhealthy ends while contributing to the overall healing of the hair. Once the hair is fully restored, you can return to less frequent hair trims.